Every new day is rich with unforeseen opportunity and fresh possibilities. We are God’s vessels, designed for doing His work and supernaturally built for advancing the Kingdom. What a magnificent joy it is to be part of God’s plan! As we venture out into the day, let us be God-focused, Christ-centered, abiding in the Holy Spirit. Grounded in prayer and rooted in Scripture, we are armed and prepared to seize the day, ready to face whatever it brings. 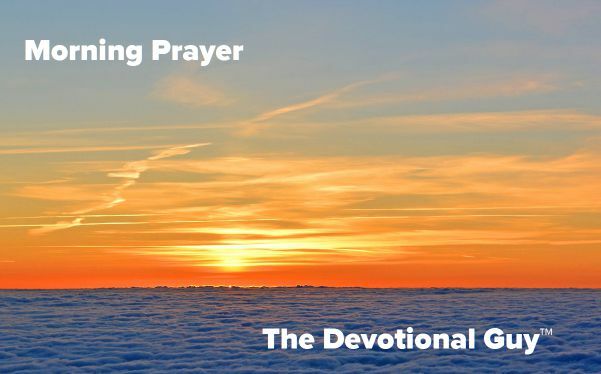 Michael Forster, a freelance writer specializing in Christian spirituality and pastoral care, wrote this beautiful prayer that reminds of the magnificent opportunities and wonderful possibilities each day holds. His words reflect the principles and experiences gained along his journey of faith. Do the words of his morning prayer mirror your anticipation of the day that lies ahead? It is easy for us to get antsy about tomorrow or fret over the shortcomings of yesterday. This prayer reminds us that rather than worry and wrought with anxiety, we should focus on today. Go in peace, seizing the day God has granted you.